There are many ways that vision loss affects a person - besides just not being able to see well. One is a sense of being disconnected from one's environment. Perhaps it's because one is not able to recognize a familiar face, or share in the enjoyment of a beautiful flower, or participate in a family game. There is a sense of loss when one is not able to share visual experiences with friends and family. Better vision can often mean a better sense of connection to and with those you are with. 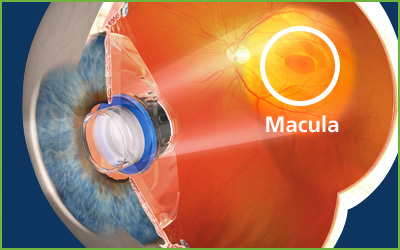 The CentraSight implant not only improves one's vision but it also improves a person's quality of life.